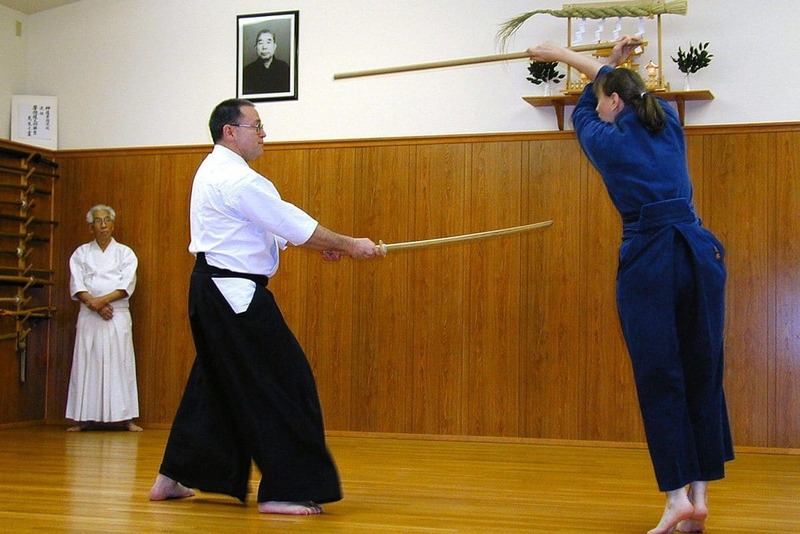 The Shutokukan Dojo is a school of the traditional martial arts of Japan, located in East Hanover, New Jersey. We offer training in Shinto Muso-ryu jo and Toda-ha Buko-ryu naginatajutsu to students throughout the NYC Tri-State Metro area and Mid-Atlantic region. We regard the martial arts as a special and significant part of our lives, and we admit as new members those persons we believe will likely share our enthusiasm and dedication. In the same way a Japanese sword is created through the heat and pressure of a forge, a martial artist is crafted by means of the intensity and shared purpose of a dojo. The path of the classical Japanese martial tradition requires considerable dedication and sacrifice. 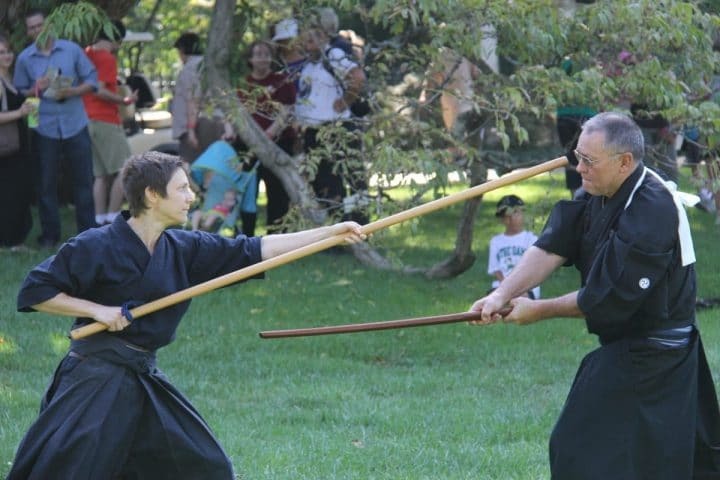 Because these warrior traditions date back over 400 years, admissions requirements are far more stringent and expectations of students far more demanding than for the typical martial art taught in this country. Training in these arts is not to be undertaken lightly; they require a lifetime of dedicated commitment. The koryu are generally not appropriate for children or adolescents, and the minimum age we will consider is sixteen-and-a-half. Training is arduous, both mentally and physically. Regular training sessions consist of intense study of the basics, closely directed by an instructor, and kata training with a variety of training partners. Kata is the primary means of transmission in the Japanese classical martial arts. These choreographed sequences of movements are deceptive. They do not represent combat scenarios, but are rather designed to embed sophisticated patterns of principle into the trainee's neuro-muscular system. Strict attention to detail is required, as is consistent repetitive training. There is no free sparring–it is simply too dangerous. There are no belt rankings. Exceptional students may eventually be eligible for traditional licenses, but there is no guarantee of promotion. The only reason to train is for personal development–if you are interested in outside validation of your skills, you won't find it here.